Here is an innovation software that can map the human brain's thinking process to a computer's processing capabilities. PersonalBrain5, is a mind mapping software that provides more visualization options, power and speed. PersonalBrain5 helps you organize all your Web pages, contacts, documents, emails and files in one place so that you can always find them - just like you think of them. This saves you time and makes your life easier. With PersonalBrain you can even find items that you had worked on, but have since forgotten about. 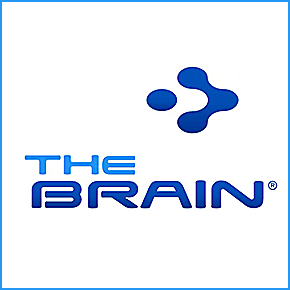 This innovation software is simple to use and it gives you the power to create a Brain for your own desktop. PersonalBrain5 provides a unique and powerful interface; it links files, web pages, events and people, and provides advanced search and file indexing. It can quickly create mind maps that reflect your thinking and business processes. Each "thought" in PersonalBrain5 triggers all related items so key information relationships are instantly seen. PersonalBrain is an innovation software that helps in visualizing relationships and connections between key concepts and ideas by quickly dragging and dropping files and Web pages into a single unified concept map.